He who laughs last, laughs longest. This time it’s a 1 oz silver skeleton who has the last laugh. This antique finished pure silver coin, produced by the Anonymous Mint, features symbols of medieval times. Remember Death, or Memento Mori in Latin; a reminder of the fragility of life. The laughing skeleton might put things back into perspective for you. This 1 troy ounce silver round is produced in 0.999 pure silver. An antique finish on this eerily-crafted silver round adds to the depth of the design and create lines and shading imitating an eye-catching tarnished effect. On the obverse of the Memento Mori 1oz silver round, we see the laughing skeleton. Skulls and bones surround his boney silhouette along with hourglasses. Hourglasses traditionally represent the fleeting of time. The images of skulls and bones was used in funeral artwork in medieval times, seen throughout the Golden age of Piracy, into the Victorian Era, and is still a popular image used today. The reverse of this fine silver round features an owl in flight. The messenger of death is clutching arrows as it soars. A glorious crown sits atop his feathered head with Anonymous Mint’s initials engraved. The 1 oz Silver Round .999 - Memento Mori in produced antique silver was designed by John Hoyle, who along with the Anonymous Mint, created this antique finished silver round in a limited mintage of 2,000. Remember Death silver rounds come in a protective acrylic capsule and include of certificate of authenticity with matching serial number etched on the rim of each round. While some like to celebrate death in different ways, this last laugh can be a cool Halloween gift, or a collector of all thing’s skull related. If you are into skulls and bones, Kitco’s exclusive Three Skull Silver Bars may be of interest to you. Designed in traditional black and white, or with a pop of color and elaborate rose and cross designs, they are sure to make a well-rounded silver skull collection. As the oldest private Mint in America, Osborne traces its roots back to 1835. Specializing in die struck 1 oz .999 silver proof and antique rounds, 1 oz AVDP copper coins, copper bars (ingots) and medallions. Osborne Mint is the leader in custom minted, numismatic quality silver rounds, copper rounds and bars. Their secure die vaults contain tooling for historically significant coins like the campaign medallions used by Illinois Senator Abraham Lincoln during his presidential candidacy in 1860. Known by many historic trade names, including Z Bizbee, Murdock, Osborne Register and ORCO, the business has been a trusted name in private minting for over 175 years. Products made by Osborne are manufactured to strict standards for metal purity, weight and dimensions. They proudly stand behind the tens of millions of coins they make every year. Anonymous Mint specializes in unique silver rounds with low mintage, and entrusts the production of these silver rounds to Osborne Mint. Why buy 1 oz Silver Round .999 - Memento Mori (Antique Finish) .999 from Kitco? Kitco is a trusted leader in the silver bullion and precious metals industry. 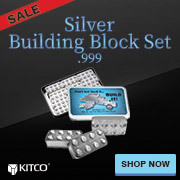 Silver bullion rounds and other precious metals sold by Kitco are recognized in silver bullion markets around the world. At Kitco, we make it easy for you to manage your tangible wealth. With our focus on bullion sales, both gold and silver, you can benefit from low silver coin and gold bar prices and from premiums that are highly competitive in the precious metals industry. Backed by our global information network, Kitco has proudly served our customers for more than 40 years. You can sell or buy silver bullion bars, gold bullion coins and other precious metals using our convenient online store, or by phone with one of our team of highly trained precious metals specialists.